The 15 Best Job Search Websites. Let the right job find you! “Do what you love and the money will follow”, a wise man once said. An equally wise woman once said,”if you do what you love, you will never work a day in your life”. It is not that easy, though. The dream job is not always within reach. But wether you are looking for a short term earner or a long term career job, this page will help you find you the job you seek. The primary purpose of a job is economic sustenance. On a secondary level, it provides a purpose and direction in life, as well as friendship and good colleagues. A lot of people find themselves in the wrong job, which they are really not cut out for. Fortunately, with the use of the internet, employees can now easily search for the jobs, that they love. We have compiled a list of the best 15 Job Search Engines and websites based on their Alexa Ranking (visitor popularity). For international job portals, please see the bottom of the page. Many of the top job portal sites, like Indeed, Monster and GlassDoor, also have local sites for many international job markets. LinkedIn is a popular professional social networking site founded in 2005 by Reid Hoffman and associates. It has been the go to job search site for years now. More than 200 million people have used LinkedIn directly or indirectly to find better prospect. The site allows people to create work profiles, socialize with other industry professionals, and join group discussions. Indeed is a Meta Search Engine for jobs. It was a started up by Rony and Paul Forster who had an inkling of its success. It is a very popular search engine with nearly 150 million users worldwide. Founded in 1997, naukri.com is a leader in job search in India. It has a rigorous registration process (which is compulsory) and every day thousands of people sign up to post their resume and to use the search engine’s services. Glassdoor.com is a community website having a wealth mine of information on enterprises looking for recruits. As on date, the site has 7 million company reviews. The company’s information can be accessed through a user’s Facebook account. Monster.com is a search engine lets people create and update their job profile from time to time. Resumes can be posted on the site and even company’s profile can be checked out. CareerBuilder is a job site developed by Robert McGovern in 1995. CareerBuilder is massive in size as it owns a lot of smaller headhunting companies. It is very popular website in the US. Usajobs is the official website of the United States government for listing its civil service positions. The site is geographically relevant only to America and operated by officials of the government. Two friends, Peter and Gautham Godhwani founded simplyhired in 2005. It is a culmination of 900,000 job opportunities on its website. The site follows the simple rule of searching by criteria of skills, city and postal zip code. The job board helps post a resume and circulates it on various social networking sites like Facebook, LinkedIn, etc. It also has set formats for making resumes wherein a job seeker can fill in and print and even share it electronically. Dice.com was a recipient of the Steve Award for Excellent Customer Care. It was started as an in-house bulletin board service in 1990 in Urbandale by Diane and Lloyd Lin. Its search option is limited to IT and engineering only. Snagajob is a 60 million strong website founded in 2000 for connecting workers with employers. However, this search engine is restricted to those who are looking for hourly work. This social networking site lets the job seeker update his profile, share tips, join discussions and search for prospective jobs. The website works both ways for employers who can post their vacancies and potential employees who can post their resumes and connect via this site. Founded only in 2005, this web portal boasts of 2 million new users every year. Careerarc is a revolutionary website that works in Outplacement segment. Outplacement is helping employees laid off from work to get back into the workforce. A right employee will make positive changes to the company’s bottom line and a right job helps a person achieve his goals. A good job search engine can help both sites. The websites above are mainly for American users. If you are looking for a job in another part of the world, then see the internation listings below. Here is a list of the best job search sites in Europe, Asia and the restof the world. CareerJunction.co.za is a job site portal with the majority of jobs in South Africa. EmplySA, is a database of job postings for South African positions. Jobs.Co.Za lists jobs in South Africa posted primarily by recruiters. JobsDB.com, provides job listings for positions across Asia. 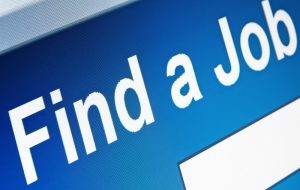 Singapore Jobs Directory, jobs.com.sg, has job listings and links to other major Singapore job portals. Australian Job Search. Government site lists jobs by occupational category and location. Jobaroo provides information about professional and seasonal work opportunities in Australia. Jobaroo also has visa information and other useful resources for travelers and other professionals interested in living and working in Australia. Europe (Central and Eastern) Job Search Sites. American Association of Teachers of Slavic & East European Languages is a professional association website includes internships, scholarships and career information related to Central and East European Studies. Eurasia Foundation is an NGO which offers jobs and internships in Russia and the Eurasian region. Europe (Western) Job Search Sites. Jobs.ie has listings in hotels, restaurants, bars and leisure centers, sales, etc. in Ireland. Chefs and experienced hotel receptionists are particularly in demand. Jobsite.com has extensive listings and sister sites in several other European countries, including France, Ireland, Spain and Italy. Reed.co.uk provides job listings for positions in the United Kingdom. TotalJobs.com has provides thousands of job listings for positions in the United Kingdom. Stepstone.de has jobs in Germany. Monster.de has a good German job database. EURES is a job portal network maintained by the European Commission which is designed to facilitate free movement within the European Economic Area. Expatica.com is popular among expats looking for a job in Spain. Jobindex.dk and Jobbsafari.se provides jobs listings in Denmark and Sweden. Latin America Job Search Sites. LatPro: Latin America’s Professional Network offer jobs in Latin America and the U.S. for professionals bilingual in Spanish or Portuguese. All positions require previous experience. Middle East Job Search Sites. Bayt.com has positions available across the Middle East. Naukri.com Gulf provides postings for jobs in the Middle East. Finding a new job has never been easier. Upload you CV/Resume to LinkedIn, Monster, Indeed or Stepstone and the job will often find you.